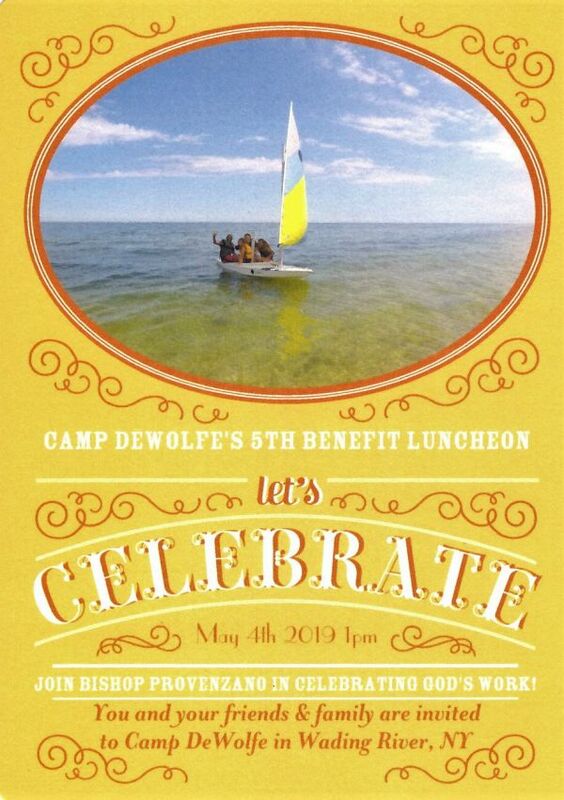 Camp DeWolfe is holding it's annual benefit luncheon on Saturday, May 4 at 1pm, hosted by Bishop Provenzano at the camp in Wading River. St. John's parishioner, George Lindsay, is member of Camp DeWolfe Board of Directors and is seeking seven (7) fellow parishioners to join him at his table. Enjoy lunch and participate in a “Camp Auction” for great prizes. George says "it's a pleasant, low key event, and a great opportunity to visit the Camp, witness it's beautiful setting and improved facilities, and support this most important mission of our diocese." Please contact George directly if you are interested ([email protected] or 516-509-7369).